Imagine standing at the edge of an open doorway in an aircraft flying at 10,000 feet – the noise of the engines and the wind ringing in your ears with only the outline of distant fields below. Now imagine leaning forward out of the doorway and letting go – falling forward into the clouds, diving down through the air as you start freefalling at over 120 mph! 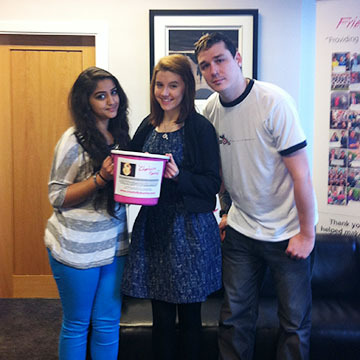 Well Simon did not imagine it, Simon jumped to raise £161.40 for the Charlotte Hartey Foundation. A huge well done, top man and thank you so much from all at the Foundation. 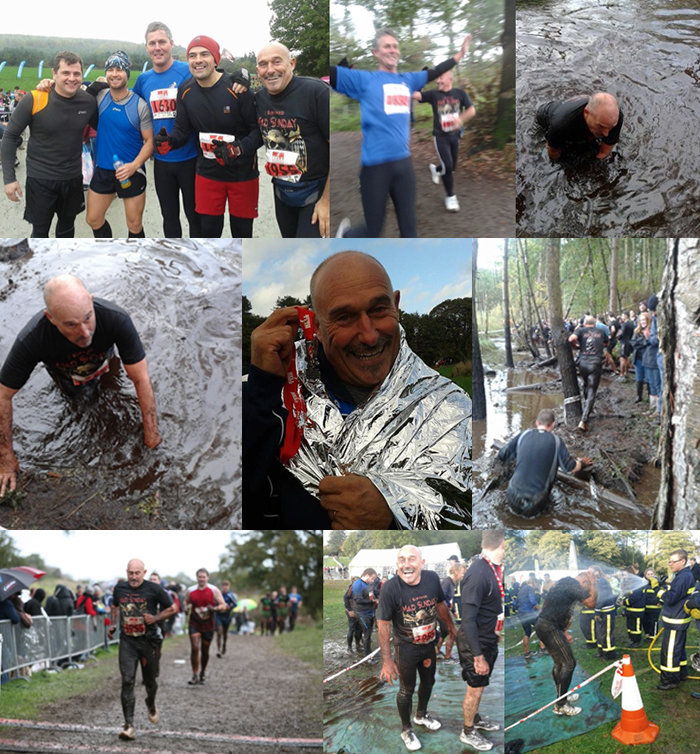 On Saturday 2nd Nov 2013, Clive Vernall celebrated his 57th Birthday by taking part in the Hell Run in Delamere Forest, 10-12 mile Cross Country, up hill, down dale, through lake and bog - freezing and raised a £100.00 for the Foundation. He split the money raised with the foundation and Macmillan Cancer Support. On behalf of the Foundation we would sincerely like to thank Clive for his donation. Fusion Arts were asked by the council to put on three events over the summer. The final event which was on the 30th August, the National Citizenship Service Oswestry brands made of ten teenagers, combined with Fusion Arts to create the Multifestifull! This event was to promote cultural diversity in Oswestry. The young people of NCS did this by asking different local companies to represent themselves at the event. We are pleased to announce that the Sponsored Log Run that took place on Saturday 24th August raised in excess of £600 in sponsorship and raffle takings. A huge thank you to Ben Richards once again for organising and coordinating such a fantastic event.This year the Log was bigger and heavier - next year Ben insists that its gonna be tougher, so watch this space! If you wish to donate please visit: http://www.justgiving.com/Ben-Richards2. 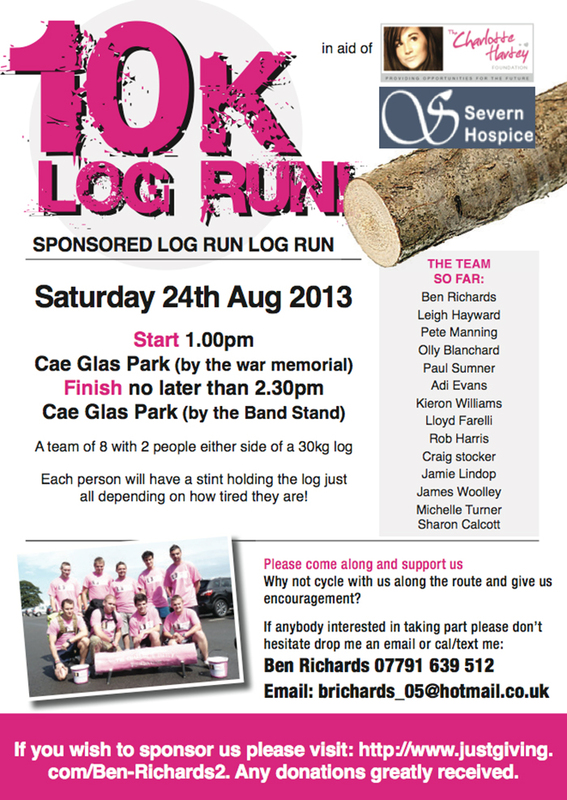 Finish no later than 2.30pm - Cae Glas Park (by the Band Stand). A team of 8 with 2 people either side of a 50kg log. Each person will have a stint holding the log just all depending on how tired they are! The foundation was pleased to be able to fund the completion of the recreational garden at the The Whole Life Christian Centre, Cabin Lane, Oswestry. Seen below is Oswestry Town Mayor planting a comemorative tree. Please visit http://www.wholelifecentre.org/charlies-meadow for further information.